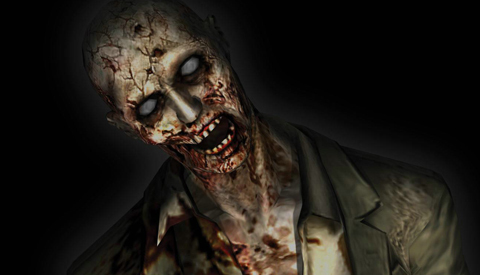 Organizations around the world are reporting their leaders are turning into zombies at an alarming rate. Formerly healthy, productive, and capable leaders are falling victim to the Zombie Plague, a deadly disease that is spreading uncontrollably across the globe. Leadership development experts recommend everyone be on alert for the symptoms listed below. If your boss demonstrates any of these behaviors, please consult a professional immediately. 1. She is running on autopilot – Zombie’s are empty vessels with no willpower or mind of their own. They wander about aimlessly with no clear purpose other than to satisfy their basic needs for survival (mainly terrorizing and eating humans!). Zombie leaders have become complacent and stopped investing in their own growth and learning. They do the minimum amount of work required to keep the ship afloat and they’ve stopped pushing the boundaries to innovate and adapt to new realities in the marketplace. If your boss is content with doing the same ‘ol, same ‘ol, she might be infected. 4. She’s in a “trust-deficit” – Leaders infected with the zombie virus are notorious for breaking trust with their followers. Failing to follow through on commitments, taking credit for other people’s work, not “walking the talk,” and withholding recognition and praise from others are all ways that zombies erode trust. The low-trust relationships that zombie leaders have with their followers results in reduced productivity, gossiping, questioning of decisions, and low levels of employee morale and engagement.